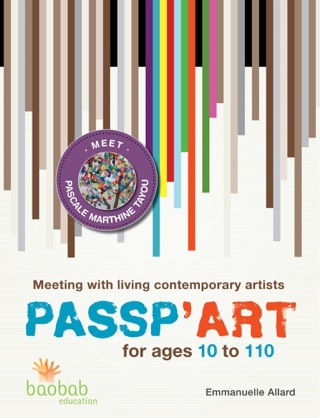 Are you a parent, teacher or art teacher interested in visual arts? 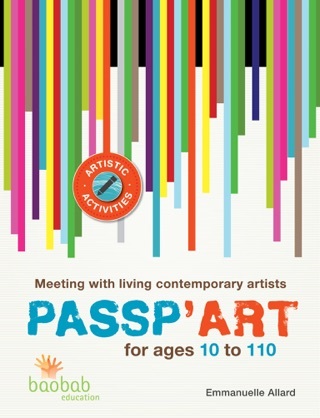 Do you want to add new activities to your art classes? Do you want to present new artists to your students or children? Are you looking for innovative artistic and pedagogical resources? 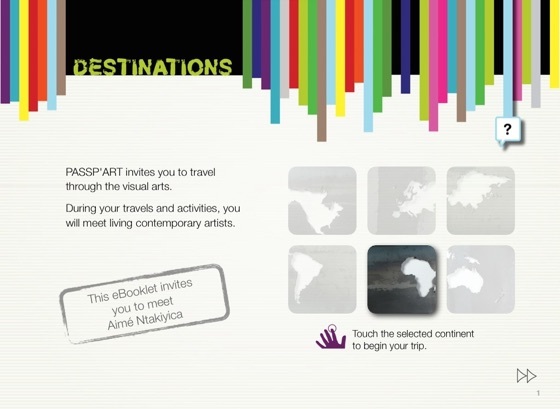 Do you want to take advantage of new media? 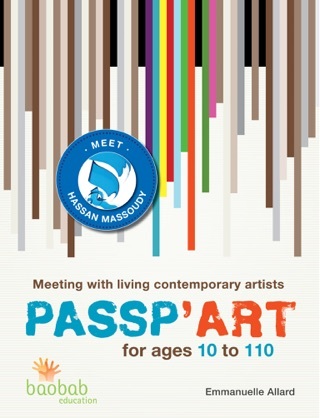 In the classroom or at home, Passp’art is intended for young people aged 10 or more, and allows them to discover the work of contemporary living artists throughout the world. 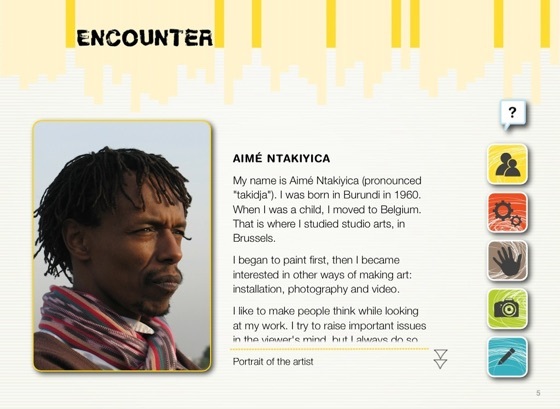 This eBooklet is an invitation to meet Aimé Ntakiyika, an artist from Burundi. After an introduction to the artist’s biography and his sources of inspiration, the student is invited to discover Ntakiyika’s studio and some of his works. Then, the creation of a costume intended to dress a cut-out doll as a self-portrait wraps up this meeting by questioning identity and stereotypes. Interactivity is at its best in Passp’art: photos, videos, animation, activities and games... The virtual meeting with the artist and his works is stimulating and enables young people to think about art, to discover and to create!